MR Instruments, Inc. – Flexible coils that contour to your patient and your budget. Flexible coils that contour to your patient and your budget. even on the hardest-to-scan anatomy. The DuoFLEX® MRI Coil Suite offers flexibility without compromise. The coil suite includes two 10cm and two 24cm flex coils which provide versatility for the technician and comfort for the patient. DuoFLEX technology supports high-resolution imaging radiologists can depend on to make accurate diagnoses. Dual coil sizes afford maximum signal-to-noise benefit as 24cm or 10cm coils fit even the hardest-to-scan anatomy of adult and pediatric patients. DuoFLEX MRI Coil Suite is compatible with many GE and Siemens scanners (both 1.5T and 3T). Contact us for specific details. Anatomy-specific coils such as for the wrist, are expensive. 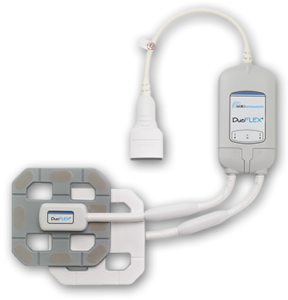 We’ve found that a flexible coil suite like DuoFLEX can supplement or take the place of several rigid , anatomy-specific coils with equal or even better image quality. 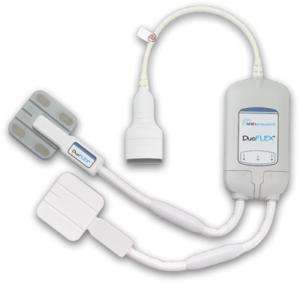 DuoFLEX is incredibly versatile; it delivers the image quality I need for our diverse patient base. DuoFLEX® MRI Coil Suite improves efficiency, patient comfort & image quality. So what are you waiting for? Request a demo today!